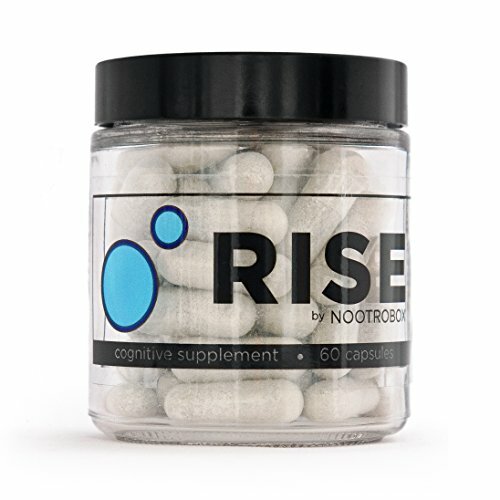 The ingredients in RISE are selected for their general-purpose nootropic benefits, specifically for their effects on working memory capacity and anti-fatigue. Bacopa monnieri is an herbal compound known to promote neuroprotective and antioxidant response as well as enhance cognitive function, specifically with respect to memory, attention, mental speed, and visual perception. α-GPC is a potent precursor to the neurotransmitter acetylcholine, which is associated with memory and learning. α-GPC crosses the blood-brain barrier which means that it can actually be absorbed and used by neurons. The components in SPRINT are selected for their immediate cognitive effects, specifically for their effects on alertness, focus, memory, and reaction time. Research shows that L-theanine + Caffeine together have strong positive effects on word recognition, rapid visual information processing, attention, and mood beyond the effects of Caffeine alone. The specific ratio of 1:2 of caffeine to L-theanine in SPRINT matches the dosage widely shown in clinical trials to produce optimal performance gains. Vitamins B6 and B12 have been shown to aid in cognitive function and have beneficial effects on the general health of neurons. 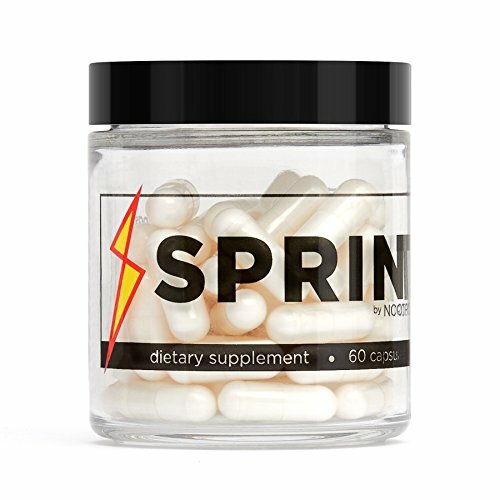 SPRINT is contained within a vegetable cellulose capsule, which is vegan, flavorless, and allergen-free. 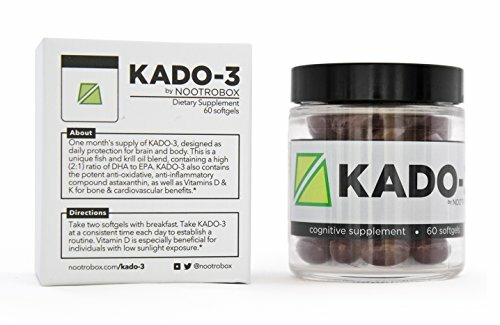 KADO-3 has an ultra high 2:1 ratio of DHA to EPA which is optimal for cognitive benefits and overall health. Nearly 3 out of 4 Americans are Vitamin D deficient, especially students and professionals who spend most of their hours indoors. With respect to cognition, astaxanthin has been shown to be useful for improving fatigue, attention and memory. Vitamin K is involved in important neural processes, and may have neuroprotective effects. Vitamin K plays an essential role in basic biological function including blood clotting and bone strength. As featured on the New York Times, Bloomberg Businessweek Magazine, and Vanity Fair.